This time of year may seem slow for some, but we at Zambia Scholarship Fund know it’s a time to put on our work gloves! 2019 will be our most exciting year yet and there is much to do! But first… I know it has been said before, it must be said again – Thank You! – Yes you!! Thank you all — All of you!! For everything you do to support Zambia Scholarship Fund! It wouldn’t be possible, in fact, it would be completely impossible, to touch, to change, the lives of so many without your caring hearts, your giving hands, your sincere and generous love! The following is a letter Troy & Aimee wrote to Peggy. It is such a beautiful letter, we wanted to share it in its entirety with all of you. 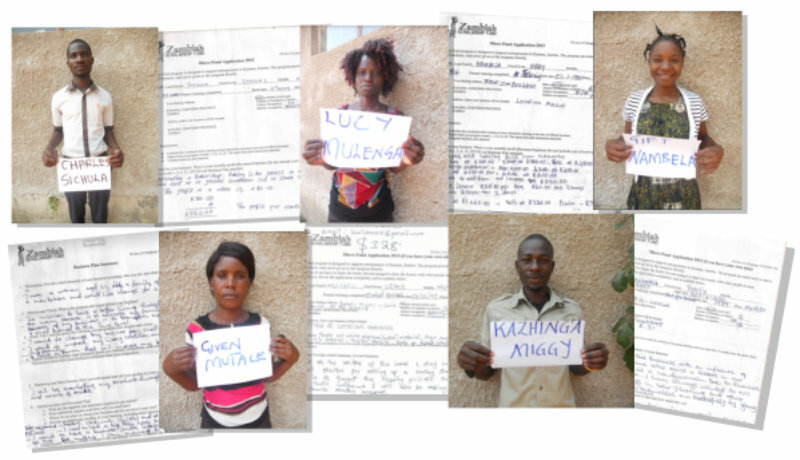 BLUF (Bottom Line Up Front) – Wanted to let you know I’ve submitted Zambian Scholarship Fund success stories that will be published for the CFC campaign in an organization newsletter. A colleague at work is a champion for the Combined Federal Campaign. We were discussing different charities and I, of course, took the opportunity to discuss my favorite charity (Zambian Scholarship Fund). She asked if I had any success stories I could share. I told her I was sure I could get one. My name is not important, but your name is. You might feel like there is no way to make a dent in the ever growing pile of hopeful causes. But much like the proverbial star fish flinger, I am here to tell you that is not the case. You can, and do, make a difference. 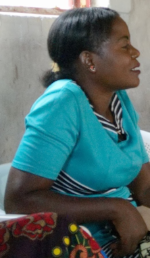 My name is Ruth Chileohe and I am a girl aged 15 years old. I come from a family of seven and I am the last born. I lost my parent when I was just five years old. I was left with my elder sister who is just an ordinary business lady. She sells vegetables and tomatoes to make ends meet. Hence I face a lot of hardship in life, in terms of finding money to buy school material. For that reason I end up struggling. I stay in Kasama, Musenga township. So I appeal to you dear sponsor, to keep on sponsoring me in order to acquire decent education in life. Am thanking you always, God bless you. Firstly I greet you. I would like to give thanksgiving and appreciation to you for the aid you are providing me. I am doing grade 11 now at the age of 17 years. In my education, I am facing a number of consequences. I am a double orphan staying with my unmarried sister in a powerless renting house. Actually, we eat food once a day. I am staying approximately 2 km away from school. In my family of 5, excluding parents, I am the only one who has reached this grade. I have 2 brothers and 2 sisters who have never been to school and they are jobless as at now. Since grade 10, I have been experiencing eye problems for lack of lens glasses. Unfortunately, I cannot afford to buy spectacles. This program is very important and beneficial because without it I will stop schooling. This program will make me achieve my goal of drawing and rescuing me and my family out of the Jaws of poverty. It will also make me a better and respected member of the society, reliable and depended on by people other than my relatives. My future on education and my education depends on this program. This program is vital as it is providing and enhancing education to people alike. Be blessed. This year marks twenty years for this charitable organization. They have decided to embark on one of their biggest projects ever; to equip 50 village school teachers with solar panels for communication & light. They call this a light in the darkness for two reasons. 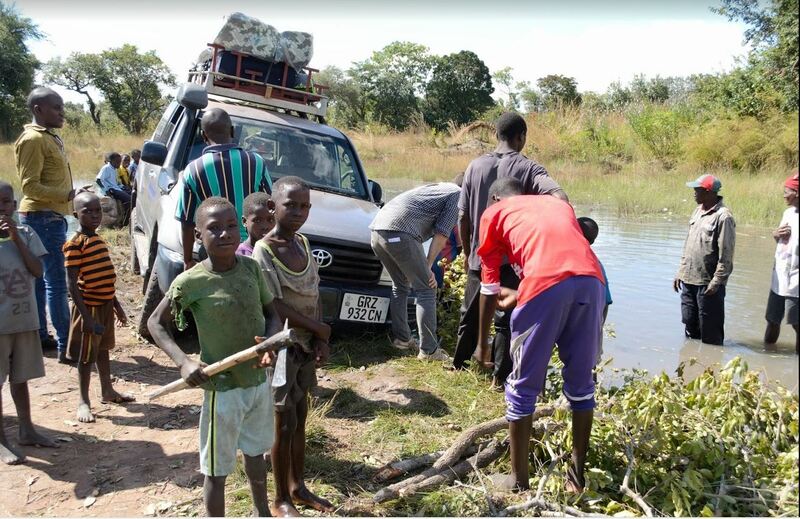 Sixty-Five percent of Zambians still live in the bush, meaning they live in a hut surviving off the land with no electricity, no running water, little or no education, no money, many times speaking a tribal language that is not even a written language. They will never be able to send their children to school past the seventh grade. High Schools are located in towns & after seventh grade education must be paid for by the student & their families. In a country where jobs are scarce, the government has no revenue to help. They began this project last May when a group of electrical engineers volunteered & paid their own way to go over & put solar panels on five of these schools. The solar panels provided 2 great things; lanterns for teachers to see & prepare lessons at night & cell phone chargers so they could communicate with the outside world. They couldn’t believe the outcome. The teachers literally cried with joy. Their greatest challenge has always been to keep teachers at these schools. It is difficult for anyone to live in these conditions but with just two luxuries (a bicycle & a solar panel) these wonderful teachers have a better chance at making it. My name is Troy Corbett and education in Africa is my cause. Thank you SO MUCH Troy & Aimee for your support! We Love You!!! 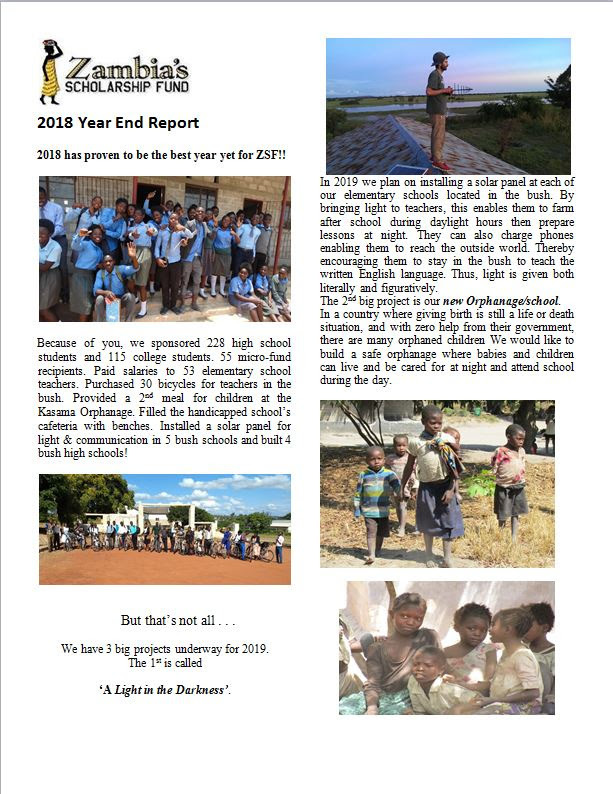 Below is a snapshot of our 2018 Year End Report. Please pay special attention to the piece about our upcoming 20-Year Anniversary Celebration! A Quick Reminder – Short & Sweet! Zambia Night 2018 is finally here! 4 Weary Travelers Return from Zambia with Stories to Tell . 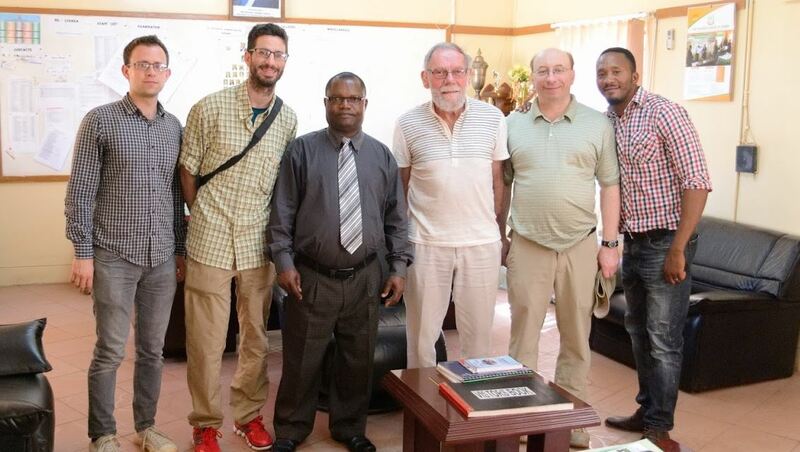 . .
AJ Roth, AJ Bradford, Jim Perreault and Richard Tanner recently returned from a history-making trip to Zambia. The following are condensed excerpts of their experiences. For more detailed versions, come hear about their experiences in person. Saturday, June 9th at 7:00 pm. 51 East 1450 North American Fork, Utah. Unfortunately AJ Roth is unable to attend this presentation but will share his experience at a TBD later date. 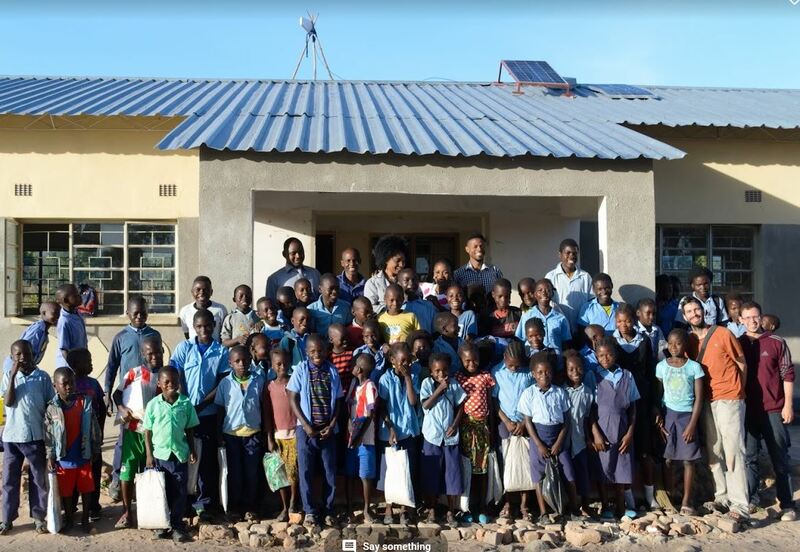 Four modern-day pioneers set off in May for the Northern Province of Zambia to install solar panels on schools in the African bush. We were an eclectic bunch: AJ Roth, the trip lead ; Andrew (AJ) Bradford, the student who lead the solar panel project at BYU ; Richard Tanner, who had taught in Zambia at Mungwi Tech over 50 years ago and was returning for the first time; and myself, a colleague of AJs who was there to support him. While I have gone on similar trips in the past, this was my first trip to Zambia and my first time in Africa. I was not fully prepared for what I saw. The level and extent of the need in Zambia was beyond my wildest expectations. So too were the levels of hospitality, enthusiasm, and hard work that we encountered. Everywhere we went we were greeted with joy and generosity. When we got stuck in the mud, the whole village turned out to help us. Such joy and pride lifts the soul. We accomplished what we set out to do, installing solar panels at 5 schools, enabling them to power lanterns so they can study or prepare lessons at night. Additionally, on 3 of the schools, we installed cell phone amplifiers, bringing cell service to regions for the first time. 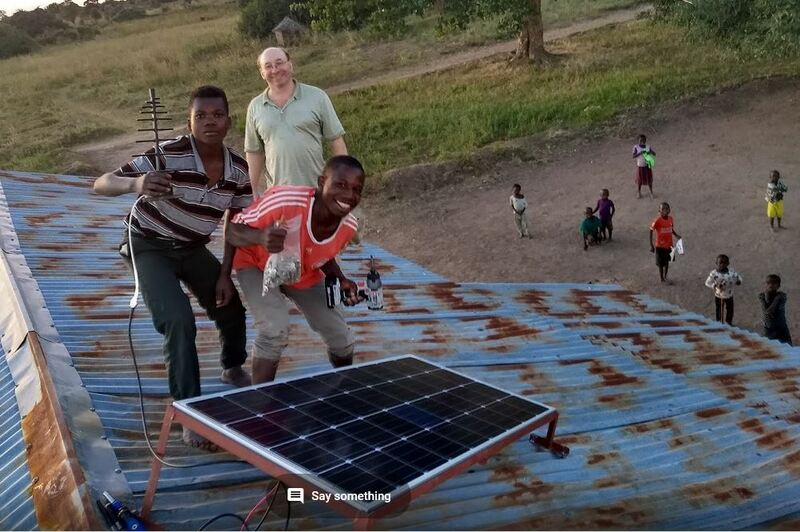 Words cannot describe the feelings of accomplishment we had on the day we installed that first amplifier, giving the Zambians not only cell service but also a connection to the Internet. In the middle of the bush! Everyone was ecstatic! All our hard work had paid off. The Zambian welcome was as warm as the weather. The month of May was a good time to visit with the country lush after the rains and not too hot. Thanks to generous friends I delivered 60 kg of materials to schools, most to Mungwi Boys where I taught from 1964-67. It looks like my work has just begun The school hall, (the largest building for over 200 miles around) has been condemned and I found the facilities very run down. 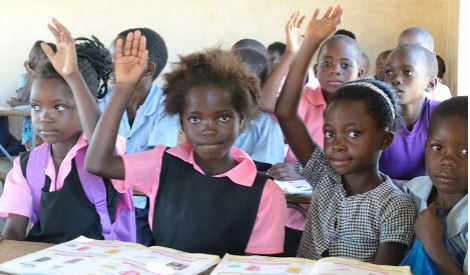 With Zambia’s population grown by four times since 1964 and still only a quarter of eligible children attending secondary school, I realize the government has many calls on its limited budget. I joined the three Americans installing solar panels on their visit to Chisali School. I saw the proverbial class under a tree and when asking what would happen when the rains come in November was shown the piles of bricks, stones and sand that villagers have gathered ready to build two more classrooms when funds allow. AJ Bradford- Different Qualities or Classes of Life Experiences!! Of our motley crew I’m definitely the one with the least life experience to speak of, but I think that there are definitely different qualities or classes of life experiences – and the highest of all these classes are the riveting ones that suddenly call our complete attention; the ones that give us pause; the ones we hold close and revere; the ones that remind us of hope. My time in Zambia was exactly that. Despite the fact that we were saddened by the sight of destitute children and families, and we often got frustrated, stuck with our wheels spinning in the mud (literally), the emotional impression that followed me on the plane from Lusaka was the joy, gratitude, earnestness and warmth we received from our Zambian friends in response to ZSF’s work and even the mere presence of us volunteers. I feel blessed to the point of guilt for the opportunity to affect the lives of many teachers and students through the solar project, and I’m amazed at all we were able to accomplish. I think that we cannot fathom at this point all the positive benefits of the project. Admittedly I also feel a sense of anxiety and responsibility for the long-term upkeep of the systems we installed, and I think that we’ll have much to learn as we follow up with our teachers and students. I hope that those involved in ZSF understand that their impressive work is completely changing lives and making possible the formerly impossible. Thanks be to the ZSF boards and to the many donors. BYU Student Andrew Bradford points his Go-pro at me and asks on our last day in Kasama, “What’s your last words for the trip?” I’m short with him and simply say “It’s not over”. With 16 Days in country a few of the things we did included 5 schools now with solar & rechargeable lanterns. 3 with cell phone amplifiers providing service. A ZSF accounting audit. Meeting with Zambia ZSF board. Visits to sponsored construction of 3 Bush High Schools. Chikuku Orphanage planning. A meeting with over 90% of ZSF sponsored teachers. And 21 more needed bikes for teachers use at schools! 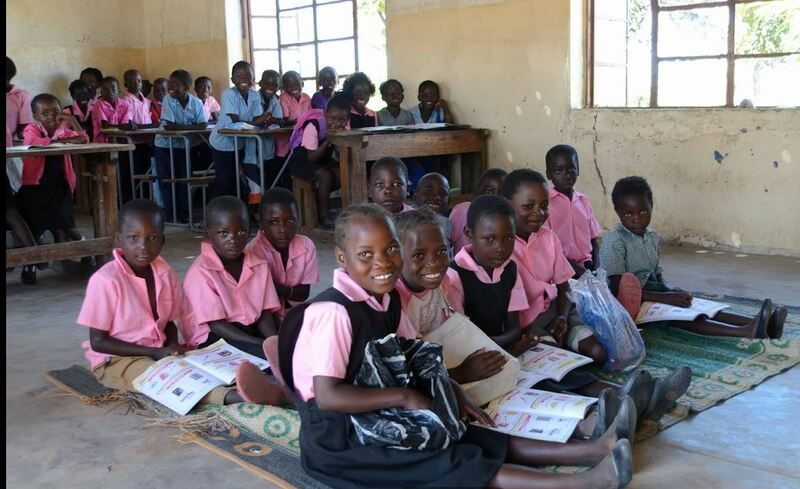 Words can’t describe the success, lasting, positive, life-changing, sustainable impacts Zambia’s Scholarship Fund is making, and the humble infinite gratitude offered by hundreds we met who have been touched through the domino effect of education. Andrew, Jim, and I were fortunate to witness the appreciation first hand, however the entirety of the credit and gratitude goes to each of you individual donors and sponsors who as a ZSF team are making tremendous strides in an enormously challenging environment where there are mountains of needs. In Bemba they say Natotela Sana! 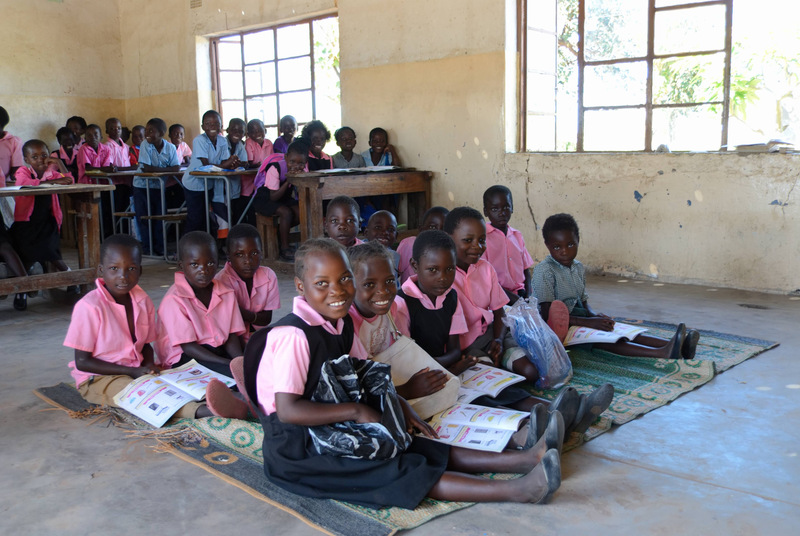 We visited the Chilishe Special Need’s School where ZSF just paid for much needed new lunch benches! No longer do students have to eat standing up!! Milingu’s head mistress, a smiling kind teacher, and beaming local elder head of the PTA kindly walked us around the bustling construction site where over 5 men and older boys were busy moving cement, stacking cinder blocks, and creating structural supports. About 2 hours every day primary kids meet outside in rain or shine while secondary students finish up their am classes. 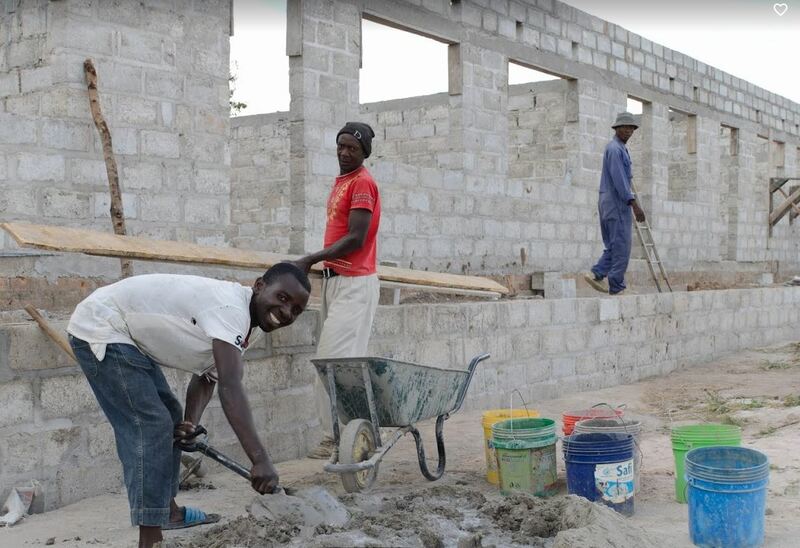 Students and staff are ecstatic as the construction complete’s in the next months for the first ever secondary class buildings at the new only 1 year in session sharing buildings Milingu Secondary Day School! See also in photo’s the original Milingu school from the 50’s! Friday 11 May after bureaucratic run arounds to get last minute letter describing our project printed on official letterhead to the head of Northern Province School’s, we trudged ~3+ hours along what I thought would be the roughest road we’d take our trip… little did I know future drives would be following foot path’s on no road, at-least we had one here. 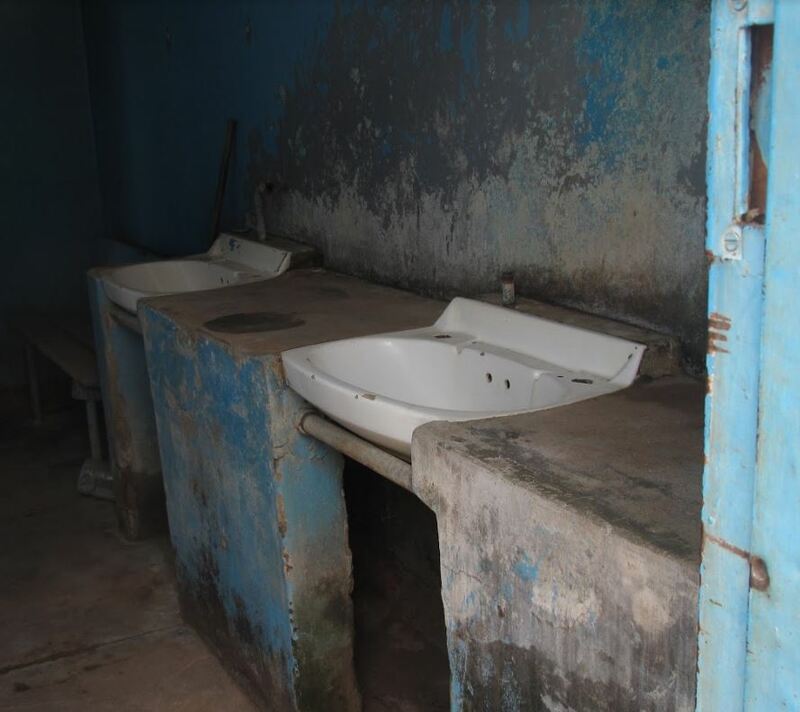 The Mulobola Head Mistress described the situation splitting up school days and sharing facilities with primary and secondary students. This is the most remote secondary day school we are currently working with, building it’s first 1×3 building and providing scholarships. See pictures to view the plot of land that construction is just starting on now that roads are accessible since the late rainy seasons end, local and skilled workers from town are being hired by the Head Mistress and local Catholic Church leadership with our staff’s help. Good news, now many of our secondary students who walk over 40 km (25 miles) beginning and end of each week from our neighbouring Mbusa primary school can bring a rechargeable battery powered lantern with them to study with! They charge it over the weekend at our newly installed Mbusa primary school and light lasts 200 hours on one charge! One of the furthest distant primary schools in Kasama District at 113 Km from town and the majority of 1 day to get to, mainly vehicle accessible in dry season due to road passing through swamp land. Saviour the teacher there is a ZSF success story, losing both mother and father at a young age, he was put on ZSF Mungwi Technical School for Boys scholarship after having top primary scores, and being present for 2 weeks where he was allowed to attend classes but wasn’t given food or lodging until he was fortunate to be awarded a ZSF scholarship. He then achieved a ZSF sponsored college diploma in Primary education, and now teaches over 150 children and is working on a distance college degree program, while also being a pastor for the local village congregation. He says he couldn’t be happier for being more blessed in life. Chisali Primary lies within easy reach of the paved road and has received a little more care than most schools over the past decades, although this is saying little. It’s structures are termite eaten and care was taken not to break beams while mounting panel on the roof. There was an old HF radio and 50 Watt panel that hadn’t been broke for over 7 years, so we helped the locals add our 150 watt panel in parallel and hooked up our 150 amp hour battery. as this was the focal point of the trip, moments I’ll never forget. I want to share with you what touched my heart the most during my first trip to Zambia, but first a pre story. We visited a handicapped school and I saw that children do not have enough benches and desks, some were very poorly dressed (after school when not in uniform) and they only had meal time once a day. I was so shocked. 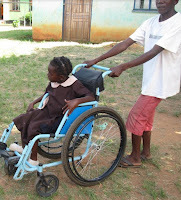 When you see these angels with disabilities and not having the basics, it just feels unreal. These pupils were so happy and with an open heart that I cannot describe. 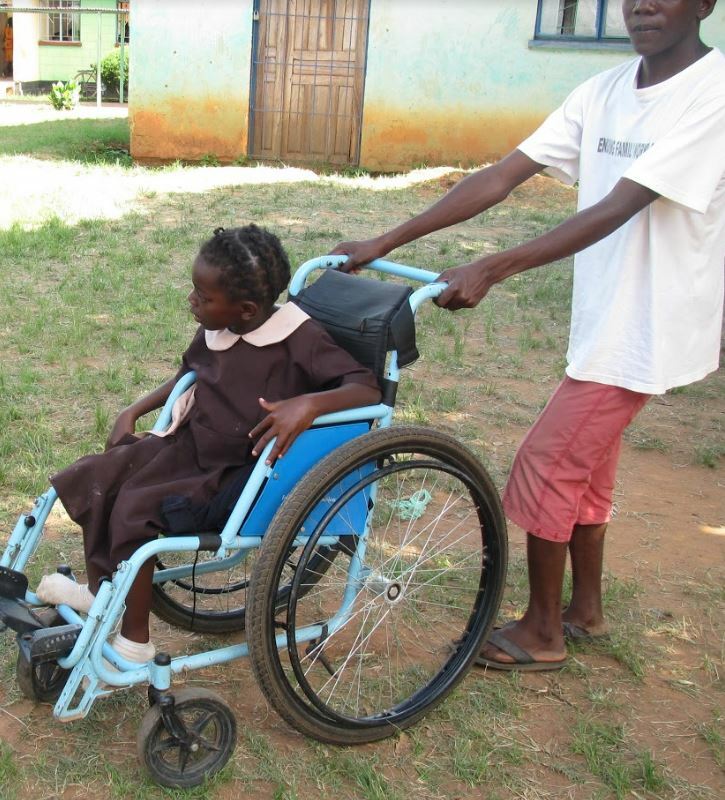 Many children live in the school, many disowned because of their disabilities. Another place that will be engraved in my memory forever is the boys boarding school. At first it looked ok, or as ok as one would expect. 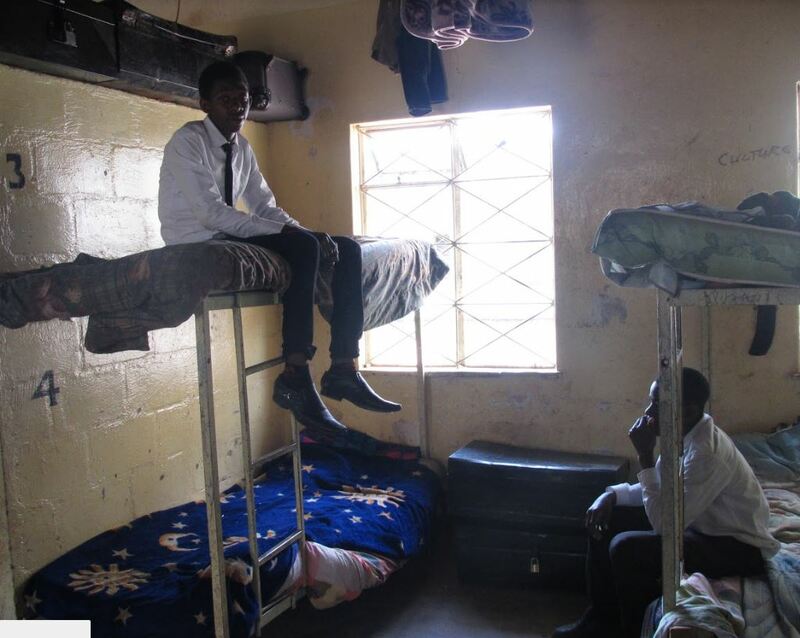 Just before we were ready to leave we asked to see their dormitories. Here is when I almost lost it. Some do not have mattresses, or have very old ones. There are no closets. 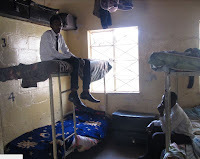 They sleep on bunk beds with old or missing mattresses. Others sleep on on metal trunks.The bathroom hasn't worked since plumbing gave out. The smell... well I will let you imagine. But you know what? Those kids are so happy and don't ask for anything. They laugh, and always wear a white shirt,classic black pants, and a tie. They keep their uniforms very clean even though they are nearly worn out. At some point I asked if we had time to visit an orphanage. I thought I was prepared because of what I had already seen, but I just freaking lost it at that place. The most precious angles have a “house” of 6 bedrooms where 60 kids live. Yep 60 -- ages from 10 months and up. The living room has no roof and they cook on charcoal. They eat one (yes, please, think hard only one) meal a day and it's inshima, which is a corn powder of little nutrition. Their meal is at 5pm once a day. Some children die of hunger. They have no government support – I went to the government office and confirmed this. It's run by a wonderful family, who just could not turn the kids away. Multiple local journalist reports were written about these people. They live off donations but don't have a solid sponsor foundation that provides the support all the time. orphanage. Only 4 adults are taking care of 60 kids. The plates in the kitchen were clean. The point is I saw that the founders take care of children and love them. They are just dirt poor. Do they have HIV?, you ask. I wondered the same. I talked to government officials, journalist, the founders of the orphanage and they told me that HIV infected children is more the exception that the rule. Why they are in an orphanage? Its common for mothers to die in childbirth. Relatives cannot or will not take them in for many reasons but HIV is not on top of the list. I cannot fly home and pretend that their struggle does not continue. I just cannot. I only started to write this post two days after the first visit. I could hardly eat or sleep, I cried ... a lot. I wish I could bring you all there so you can see. 1) The employee of 10 years of ZSF will buy food for 2 weeks and drop it off to the orphanage every two weeks and check on the well-being of the children. He will also take pictures for us. 2) He will provide receipts of purchased food. 3) I trust this employee in Zambia. 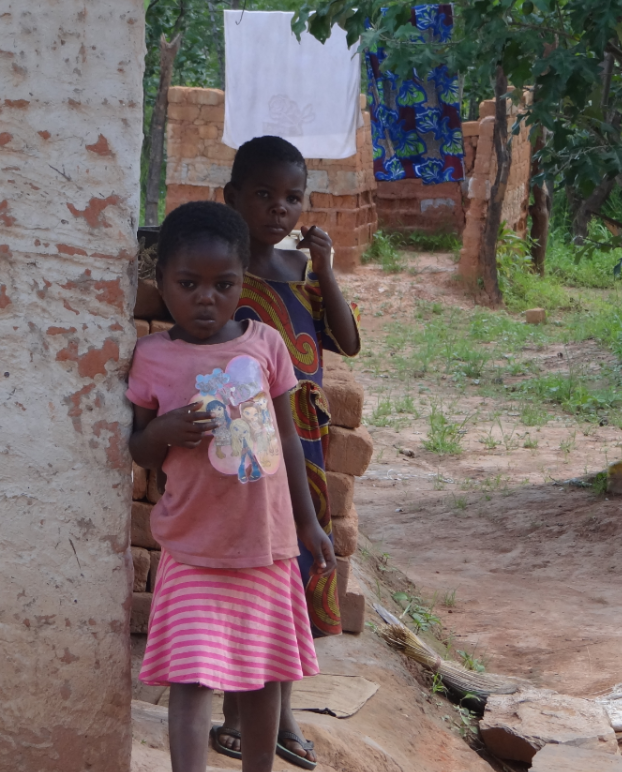 4) We will check on the kids when we return to Zambia. 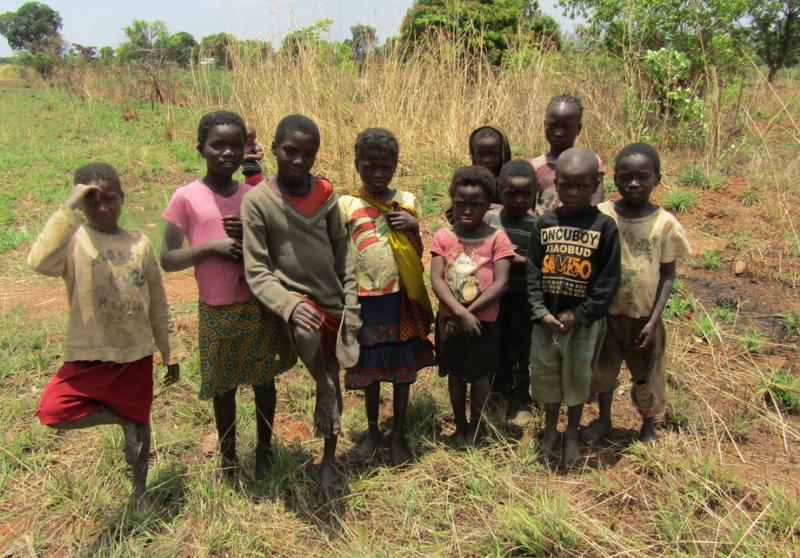 Once we improve the food problem, we hope to build an orphanage / school building for them. We cannot let them stay there. We will either need to build or buy an existing house and modify it to work as a school in the day and a place to sleep at night. It will most likely be a new one as we need at least 8 rooms, one side for girls and the other for boys. The land most likely will be given to us by the chief of one of the tribes. We will have to figure out the legalities of it all. We will apply for grants as well. To give you an idea, the building will cost about $50,000. Not super expensive, I think. We need people who are willing to work on this: raise money, work out details, dive into thepaperwork, etc. These are real children who are starving right now. And we can stop it now. And yes I know we can't help them all, but we can do what we can. We can help these 60.
doing but I have to try to help. 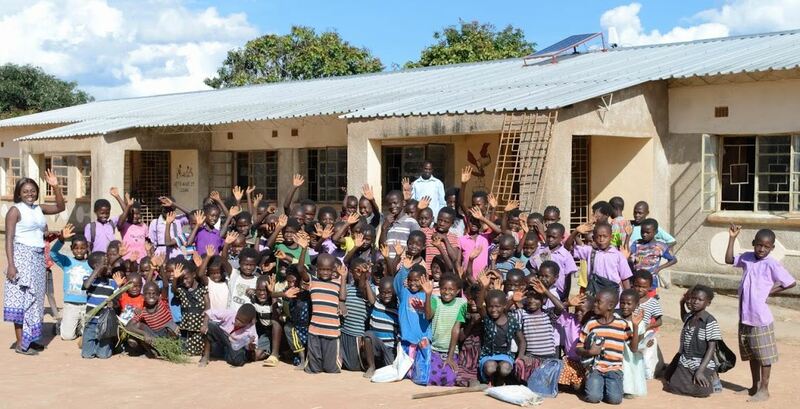 Orphanage in Zambia needs FOOD! 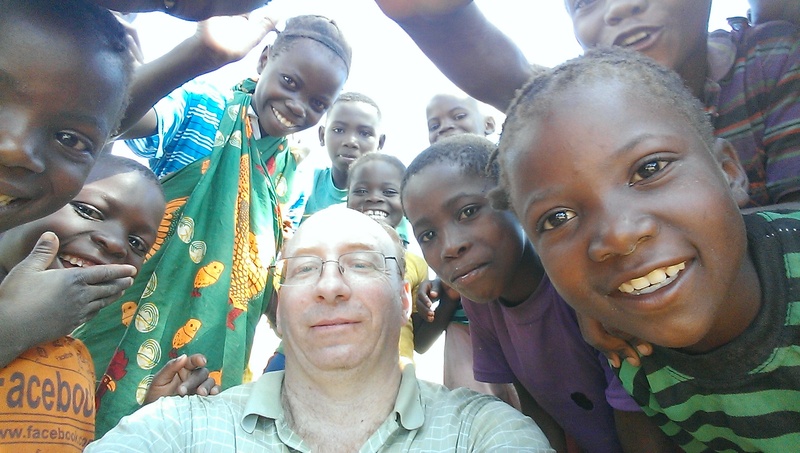 I'm back from my trip to Zambia, Africa. The need there is so great. Besides trying to educate the youth past 7th grade and keep 13 year old girls from getting married and having babies, we found a great need in an orphanage in Kasama, Zambia. We decided we needed to do something to help the children. Therefore I set up an emergency GoFundMe campaign to raise the funds to feed the orphanage kids a second meal each day. I'd love it if you took a moment to check out my GoFundMe campaign: https://www.gofundme.com/25x6u69w?pc=em_db_co2876_v1&rcid=af6e79b9de2a49639e3c8695e52a0406 Your support would mean a lot to me. Thank you so much! 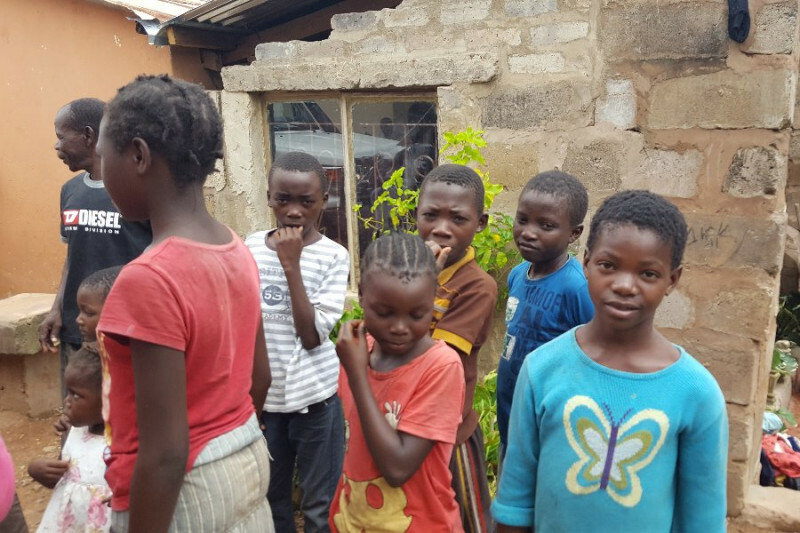 Vice president Jim Boud and his wife Linda went to Zambia in March 2016. As soon as they stepped off the plane, they met our 55 micro-fund recipients. Old, young, men, women, able-bodied and handicapped alike, each approached Jim. With tears in their eyes, they thanked him for giving them so much. It didn’t matter if it was a simple sewing machine or tools to cut hair, each person was thankful to the point of tears. Jim said it was the most tender thing he had ever witnessed and begged us to keep it going. Thanks to the support of many of you, we are happy to report we started our phase two micro fund program in January 2017 and gave more applicants a chance to create a job for themselves. We are making two dreams come true. ZSF is funding the construction of a building that will fulfil two needs. On Sunday it will make Pastor Francis and his congregation happy as it serves as a beautiful church. During the week, it will make our micro-fund recipients happy as a place to hold their much needed brainstorming meetings. If you missed the Zambia Night Celebration, you missed a great night of recharging your batteries. The meeting was held at the lovely new Kaysville library. We had about sixty people in attendance. The highlights of that evening included reading thank you letters from our students in Zambia, and a presentation from Halee Roth showing us how to find the pictures and names of of ZSF recipients. How many students did we help in 2016? In 2016, ZSF funded 46 elementary school teachers, 93 college students, 172 high school students, and 55 micro-fund recipients. We are very happy with these numbers, but it is a bit overwhelming to maintain their support. We need your help now more than ever to keep all these kids and teachers in school! Thank you for a fantastic year. Let’s keep up the momentum in 2017!